"Europe has made a choice in the face of the crisis: it chose greater economic integration". This is what Polish Finance Minister Jacek Rostowski said before the beginning of the G20 ministers of finance meeting in Washington, which took place in two stages in the framework of the annual meetings of the Bretton Woods institutions - the IMF and the World Bank. Moreover, the Polish finance minister, who spoke in his capacity of a representative of the Polish EU Presidency, added that the new economic order, introduced with the Six Pack of the economic governance, could serve as as a guideline for other countries of the world in the G20 framework. Quite expectedly, the main topic at the three day meeting was the euro area crisis, which is no longer only a European problem. 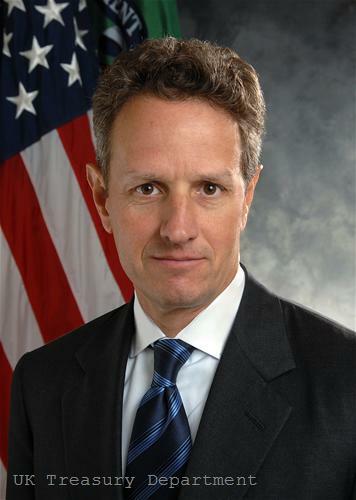 A fact, underscored by US Treasury Secretary Timothy Geithner. Most European representatives, however, including IMF's Managing Director, spoke of a global approach and joint solutions. The meeting ended with a brief statement of one page in which, generally, it is emphasised on the need of a strong and coordinated response to tackle the risks of sovereign stresses, financial system fragility, market turbulence, weak economic growth and unacceptably high unemployment. By the way, it was at this meeting that a new term emerged, obviously aimed at avoiding the word "crisis" - sovereign stresses. In their statement the G20 finance ministers call on the euro area nations to apply immediately the decisions agreed on July 21 - a call constantly repeated by the European Commission and the Europarliament. In particular the document focuses on the need of increasing the flexibility of the EFSF and to maximise its impact in order to address contagion. At their summit on July 21 the eurozone leaders have decided the fund to be empowered to buy-out debt at secondary markets (only in extraordinary market circumstances), as well as to recapitalise banks through government loans, including for countries with no rescue programmes. It is expected by mid-October the changes to be approved by the national parliaments of the eurozone countries and to come into force. To the US, who has not less problems with the budget, economic growth and unemployment, there is no recommendation - only the measures applied by the administration of President Obama so far are mentioned, aimed at boosting growth and employment through public investments, tax reliefs and ideas to reduce the budget deficit. It is also emphasised on disorderly movements in exchange rates that have adverse implications for the economic and financial stability. The statement leaves the door open for taking a decision at a later stage. The G20 summit is planned to take place in mid-November. It will be in the French city of Cannes where we are used to see broadly smiling cinema and showbiz stars, walking in glittering clothes on the red carpet against the background of expensive yachts and automobiles - all of these inappropriate stuff in times of a repeating itself crisis. In November, the inhabitants of Cannes and the entire world will have to watch, instead of luxury, the withered and worried faces of world leaders, because death has already been announced. 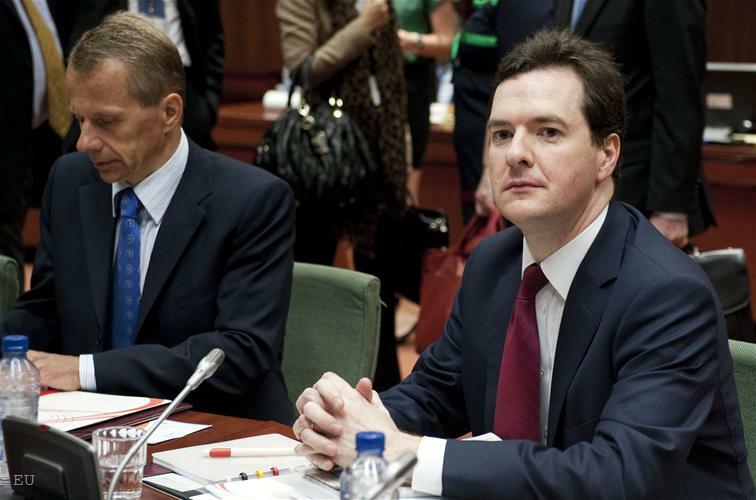 British Chancellor of the Exchequer George Osborne said in the framework of the meeting that the eurozone had 6 weeks left to live. Precisely that much time remains to the summit in Cannes. Because, he says, "there is a sense from across the leading lights of the eurozone that time is running out for them. There is a clear deadline at the Cannes summit in six weeks time. 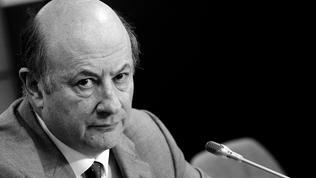 The eurozone has six weeks to resolve this political crisis". Britain is not part of the euro area but almost half of the trade exchange of the kingdom is with the Economic and Monetary Union (EMU). 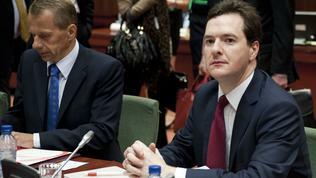 As George Osborne also explained, if the eurozone were to break up that would be really bad for Britain. And not only. IMF Managing Director Christine Lagarde started her introductory by saying that global economy had never been more interconnected than now and warned: "We meet at a pivotal moment. A moment of choice. As Victor Hugo once said: 'Great perils have this beauty, that they bring to light the fraternity of strangers'. We are by no means strangers, and we are linked by a common destiny". 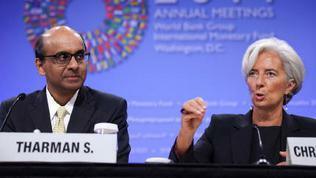 According to Mrs Lagarde what is needed now is inclusive, job creating growth. There is a risk of collapse of global demand because of the troubles in Europe and the insecurity in the US. "But let us be frank - the primary burden of responsibility for addressing the current crisis lies with the advanced economies", she added, thus pointing a finger both as Europe and the US. For her the solution is fiscal policy, navigating between the twin threats of undermining credibility and undercutting recovery. Fiscal consolidation must be a top priority of the advanced economies but with an eye on the danger of suffocating the already fragile growth. She again mentioned the need of strengthening banks’ balance sheets so that they can lend to fuel growth. "This is the policy path. And the world’s largest economies - the United States and the Eurozone in particular—have a special responsibility. They have begun the effort. 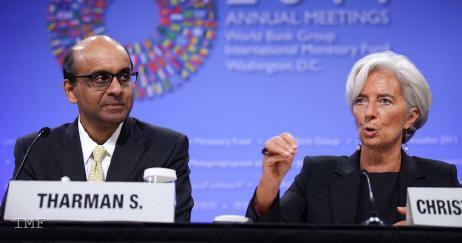 It must be accelerated as a matter of urgency", the IMF's chief concluded. 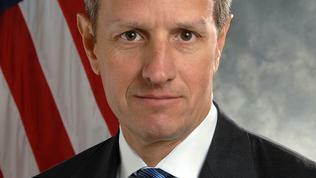 However, this opinion was not entirely shared by US Treasury Secretary Timothy Geithner. "Sovereign and banking stresses in Europe are the most serious risk now confronting the world economy", he said in Washington and added that the commitments that euro area members had made to one another in the last 18 months had been impressive but more actions were needed to expand the effective capacity of these commitments in order to create a "firewall against further contagion". Nonetheless, he also acknowledged that economic growth could be boosted through continuing global cooperation, mostly in the areas already addressed by the G20 but without significant results - structural imbalances, sustainable and balanced growth. Although he spoke in time before Geithner, EU Monetary Affairs Commissioner Olli Rehn actually explained that there was a serious misunderstanding by the Americans of what was going on in Europe. 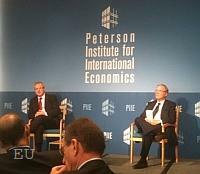 In a speech at the Peterson Institute in Washington Mr Rehn said that a large part of Europe's problems were a result of broader global challenges. "By the same token, it is important for Americans to understand well what is going on in Europe, and perhaps some of our experiences are useful on this side of the Atlantic, too. 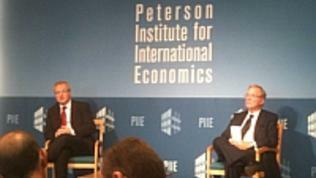 US reactions to Europe’s sovereign debt crisis have typically expressed incomprehension", Olli Rehn added. 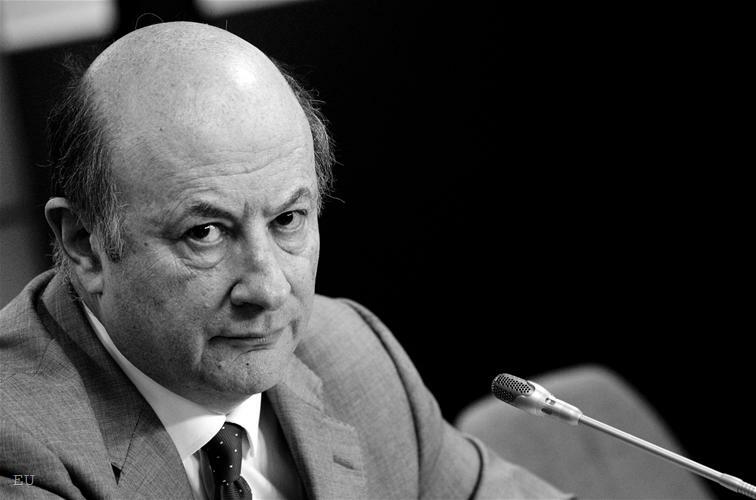 According to him, the key player must be the G20 because, according to historic evidence, recoveries from financial crises tend to be slow and bumpy, and to tackle the problem efforts to rebalance global demand are needed, including through market-determined exchange rates. Therefore, he underlined, transatlantic cooperation would have a decisive role. About the key role of the G20 wrote a few days ago three former leaders-socialists - Gordon Brown, Ernesto Zedillo and Felipe Gonzalez. Their idea, though, was the IMF to get the leadership of global governance. Olli Rehn gave the clearest proposal for the Cannes summit - an ambitious Action Plan to be developed aimed at keeping global recovery on track. In conclusion he explained that deeper integration through the introduction of a "some kind of common bonds" was realistic. "The Commission will present a feasibility study on eurobonds in the coming weeks. While not a matter of today or even tomorrow, I see deeper economic policy integration and perhaps eurobonds as the music of the day after tomorrow - as an expression of Europe's evolutionary road". The question is, however, whether George Osborne will prove to be right and after Cannes the funeral march to sound instead of the Ode of Joy again. But, in the end of the day, from the meetings in Washington it has become clear that the decision for this is no longer in Europe's hands. 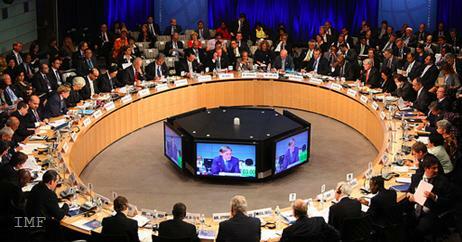 The G20 is on the move.